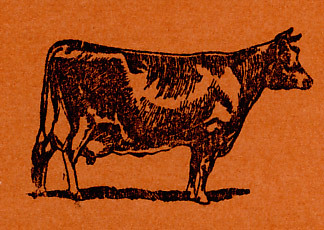 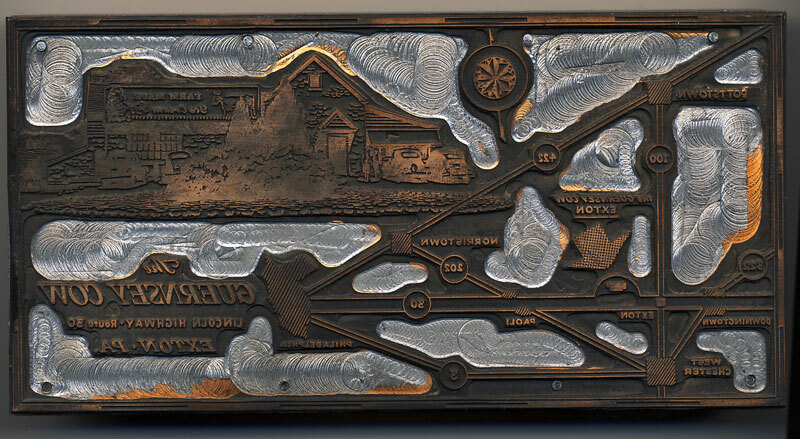 Printer’s block used in printing some of The Guernsey Cow promotional material. 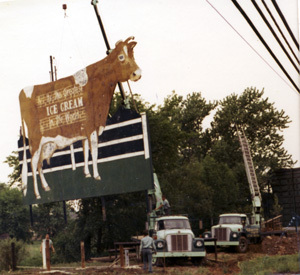 In 1972, The Lincoln Highway (Route 30) in Exton, PA was being widened and The Guernsey Cow signs needed to be moved back from the road to make room. 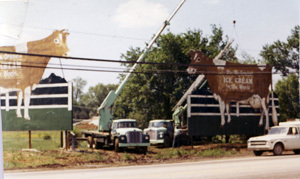 As described previously, when the billboard was originally erected right after the end of World War II, the highway department visited Larry Polite and informed him that, although it was a nice big cow, it needed to be moved back from the edge of the road because the cow’s head hung over the highway. 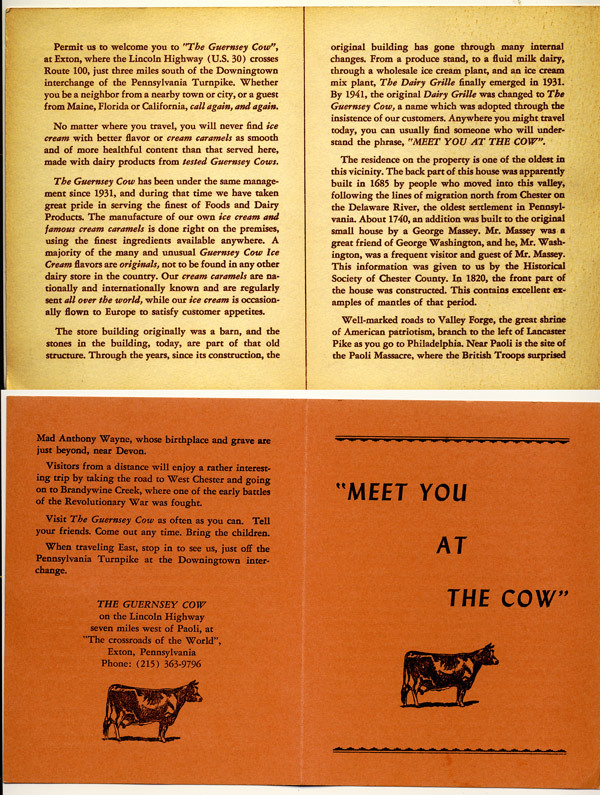 In 1968 the northern side of the highway was widened. 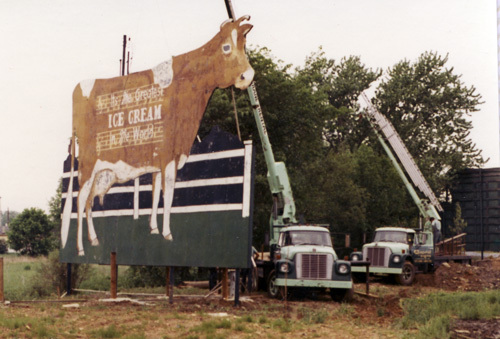 The smaller sign shown in the post below (from 1941) would have needed to be moved or removed for that widening. 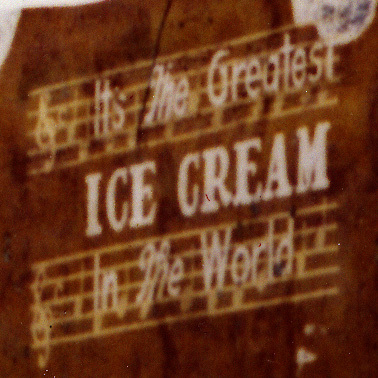 The sign above reads: “It’s The Greatest Ice Cream In The World” and it’s written over a musical staff with notes. 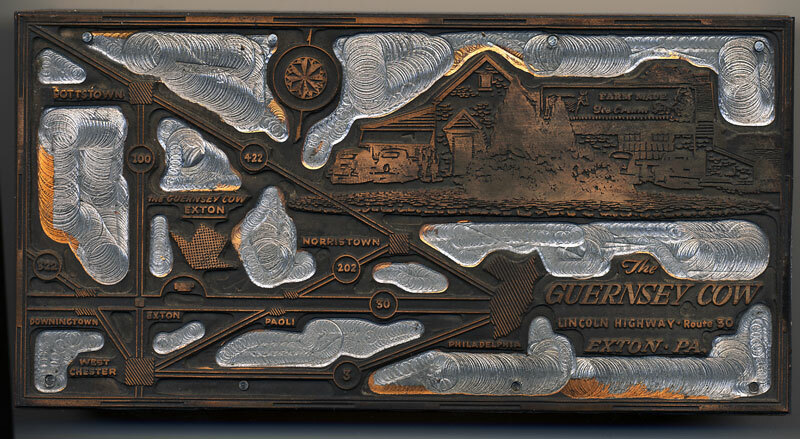 Anyone know the jingle or can play it for me?